Add all the ingredients into a bowl, minus the lamb and stir. Add the mixture to the lamb and use your hands to make sure everything is coated. Leave to marinade for at least 30 minutes, preferably longer. You don’t want the delicate herbs and spiced to burn on the direct heat of a pan so I grilled them for around 10 minutes in my airfryer on a high heat. It depends on the thickness but make sure they are still a little pink inside and not dried out. 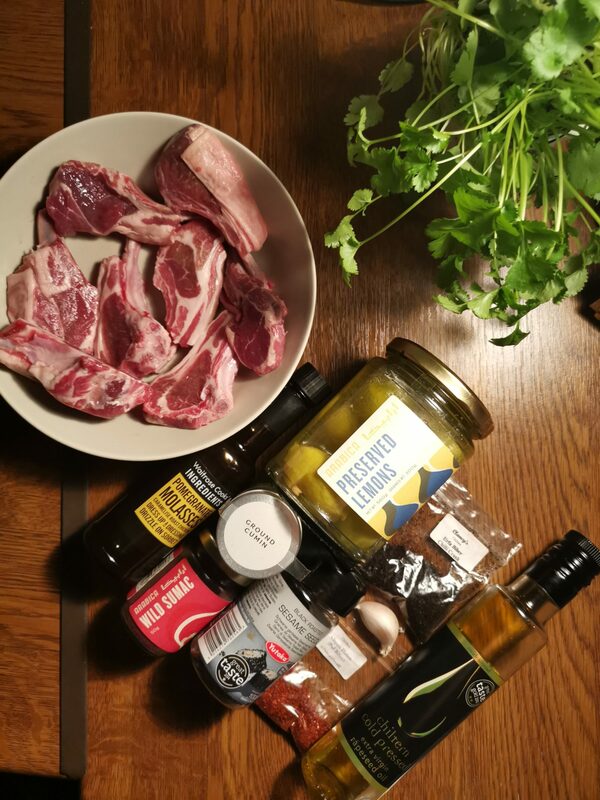 I put the cooling minty yogurt in a bowl in the centre of a large plate, surrounded by the middle eastern spiced lamb lollipops for dunking. No cutlery needed.